The Surgical Center of Connecticut is a premier free-standing, physician-owned, multi-specialty Ambulatory Surgery Center located in Bridgeport Connecticut. Newly renovated in 2014, the center is equipped to meet the needs of our ambulatory surgery population from endoscopies to spine surgery. 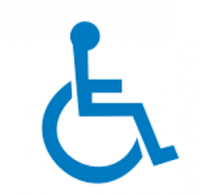 We are committed to ensuring that our website and mobile applications are accessible to individuals with disabilities. If you need assistance using our website or mobile application, or assistance with a document on the website or application, we can help you. Please contact us by email at Omar.Ziyadeh@scasurgery.com or by phone at 203.371.2986.